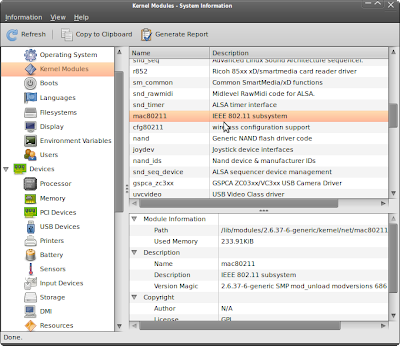 Leandro Pereira has created hardinfo, a useful user-friendly GTK+ utility to browse the hardware information on one's machine. 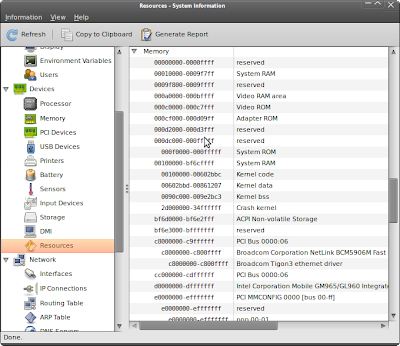 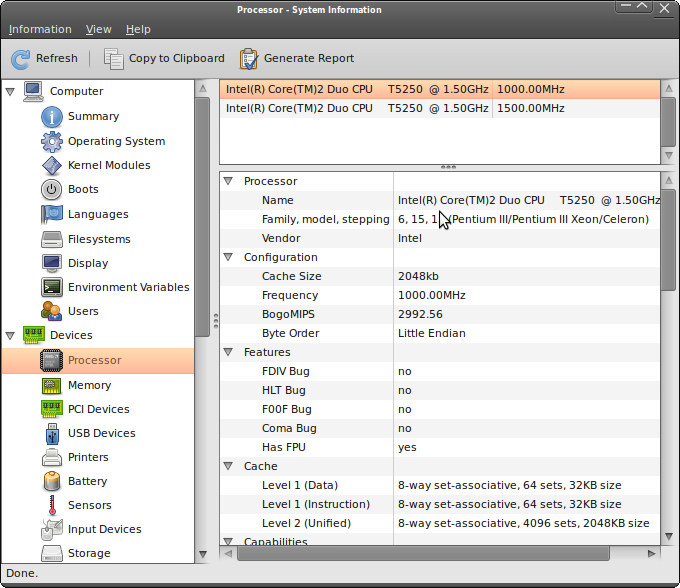 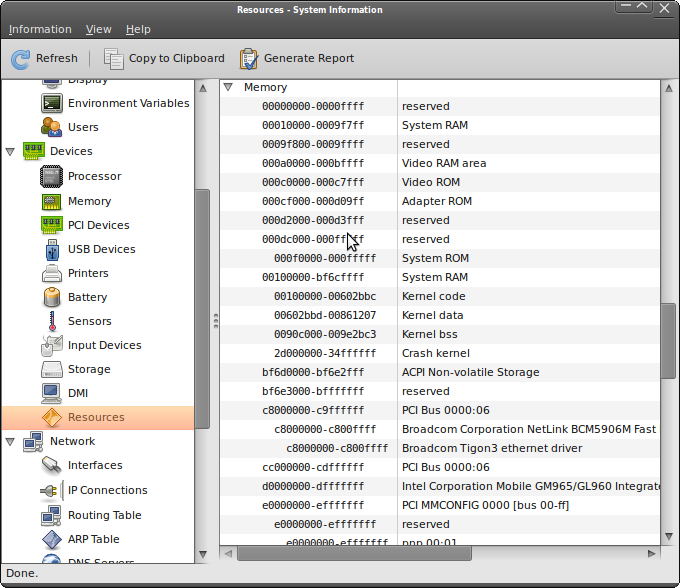 It also includes a bunch of benchmarking tools too. 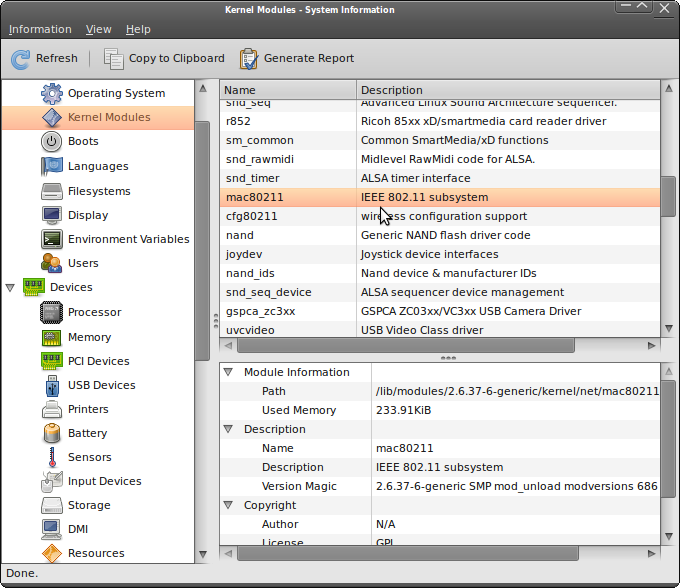 Computer: OS, kernel modules, filesystem, display, environment variables, users. Devices: CPU, memory, PCI, USB, printers, battery, sensors, input, storage, DMI, resources. 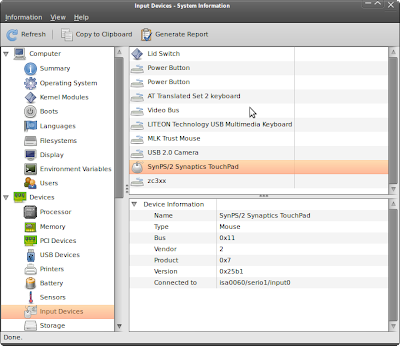 Network: Interfaces, IP connections, routing tables, ARP table, DNS servers, statistics, shares. Benchmarks: Blowfish, CryptoHash, Fibonacci, CPU N-Queens, CPU FFT, FPU Raytracing.